My-Alia : on 11th Hour and True Blood! 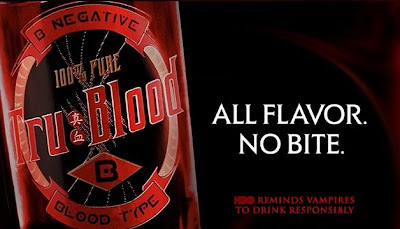 Ok, for those who still have no idea what True Blood is, here's the official website. Local waitress Sookie Stackhouse (Anna Paquin), however, knows how it feels to be an outcast. 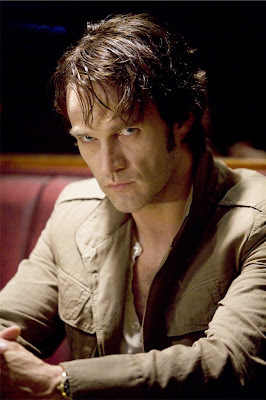 "Cursed" with the ability to listen in on people's thoughts, she's also open-minded about the integration of vampires — particularly when it comes to Bill Compton (Stephen Moyer), a handsome 173-year-old living up the road. But as Sookie is drawn into a series of mysteries surrounding Bill's arrival in Bon Temps, that tolerance will be put to the test. but what i don't understand, how can it be that vampire's blood can be a cure...?! (i saw the making of it, but still i have yet to grasp the idea unless i watched it for the next few episodes!) hehe.. :) ~ke i yg mmg x paham ni...? tercapai gak ek hasrat kakni nak tgk cite tuh..